The Olive Zipbook Z107H is a 10-inch netbook Tata Group’s wireless subsidiary India with the usual Intel Atom N270 CPU, Windows XP, 1GB of RAM, 160GB of HDD, Wi-Fi and a standard 3-cell battery. It’s price tag was set at around 380 Euros and even comes with EVDO modem. Design wise, the netbook sports a matte case design with matte surface. The netbook’s battery could max out up to 5.5 to 8.5 hours of normal use. This entry was posted on July 18, 2010 at 6:29 am	and is filed under Notebook Technology. 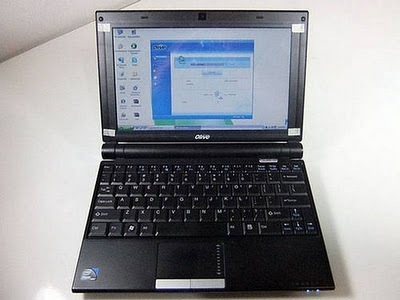 Tagged: Notebook Technology, Olive Zipbook Z107H Netbook India. You can follow any responses to this entry through the RSS 2.0 feed. You can leave a response, or trackback from your own site.